It’s not everywhere that while wandering the meandering trails of a scenic wooded parkland you might unexpectedly find yourself smack dab in the middle of the ghostly remains of fortress-like military base from another age, complete with massive concrete cannon casemates, and a labyrinth of underground tunnels and bunkers. 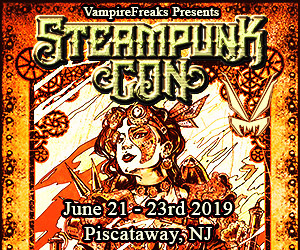 No, it’s not everywhere, but it is here in New Jersey. 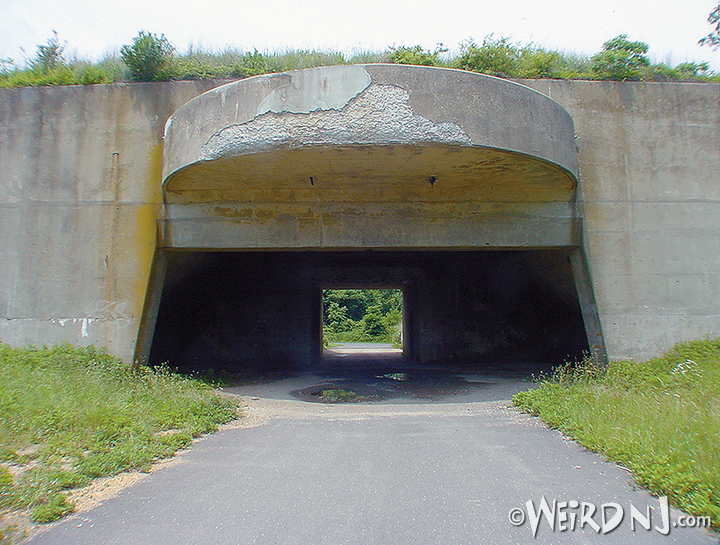 Located high on a hilltop in Highlands, in what is now part of the Hartshorne Woods County Park, is a former military installation, Battery Lewis, which was built during World War II. Battery Lewis was equipped with a Battery Commander’s station, a casemated switchboard and plotting room (which is the bunker directly behind the battery at the lowest point of the base), 8 base end and 8 spotting stations. 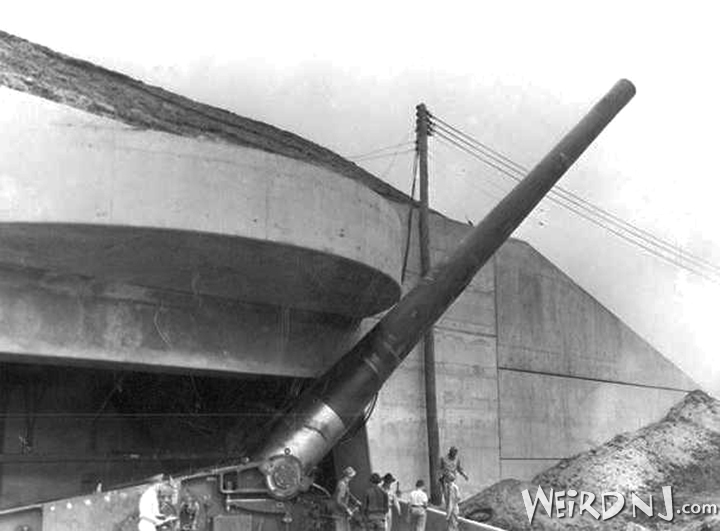 Two 16-inch guns were also placed at both casemates in 1944, and removed in 1948 after the war. The battery also had fire-control radar, 2 ammunition magazines and a diesel power plant. 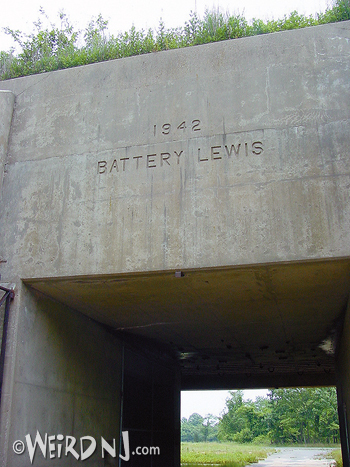 The battery, which occupies the highest point on the Eastern Seaboard from southern Maine to Florida, was named after Colonel Isaac Lewis, whose greatest achievement was the invention and production of the world’s first lightweight machine gun for aircraft. Some of his other inventions were gas propelled torpedoes, a quick-firing field gun and various other military hardware. 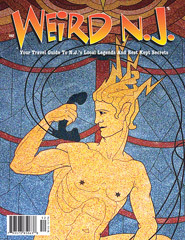 Lewis died in New Jersey on November 9, 1931. 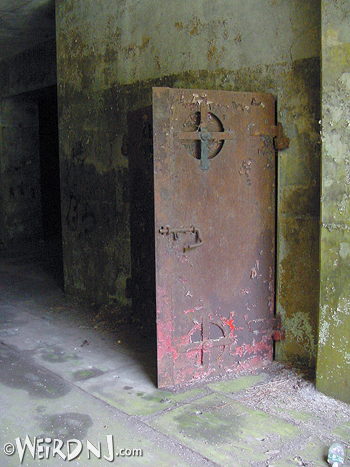 Today most of the concrete structures of Battery Lewis still remain, though few, if any wooden structures are intact. The vast network of underground tunnels, bunkers and rooms are sealed off from the public with chain link fencing. You can, however, walk on the designated trails through the gun casemates and wander along the top where other guns were once placed. This vantage point offers a great view to New York City, which gives you an appreciation for the military significance of the now abandoned site. This area was also a control center for Nike air defense missiles during the Cold War. The base was used both by the Air Force and Army and renamed the Highlands Army Air Defense Base, and was the center of operations and command post for the launcher sites after the Pedricktown Nike base was closed in 1966. It was the central control point for firing Nike missiles, although there were no missiles installed at the site. 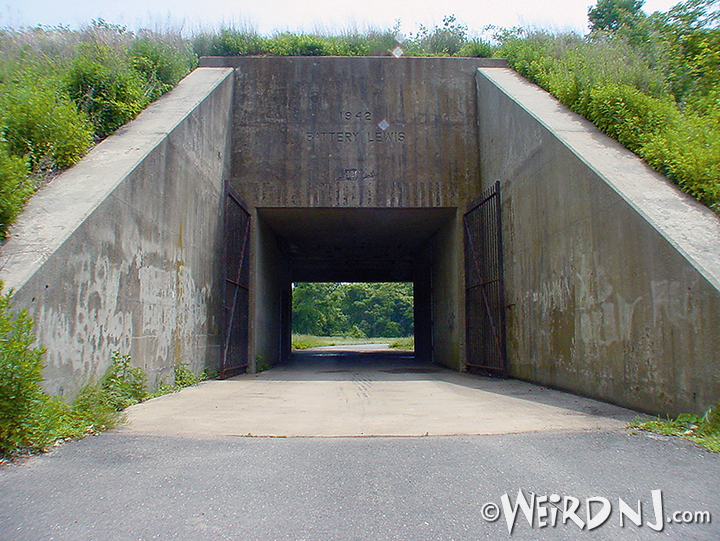 Nike missile sites were numbered 1 to 100, in a clockwise circle centered around New York City. 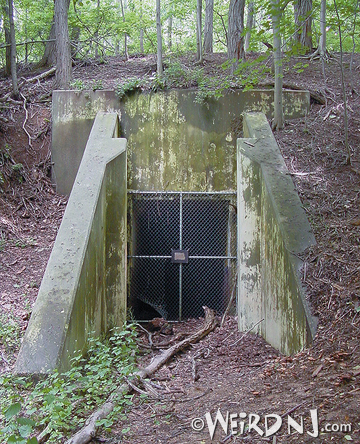 The Battery Lewis site was designated NY-55DC.The casemates were later turned into fallout shelters, then a county park when the base closed around 1974. 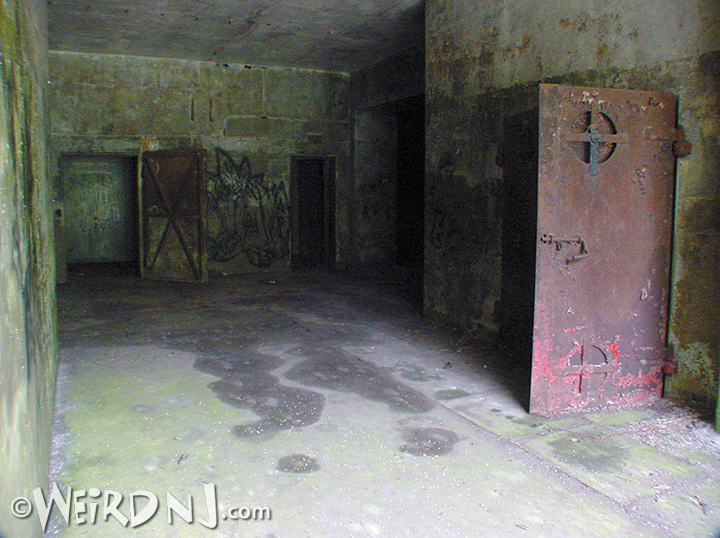 Located throughout the woods are other bunkers and military leftovers from life during wartime in New Jersey. Maps are available for self-guided walking tours at the site. The Highlands Military Reservation was the site of one of the first three early warning radar sites constructed by the Air Force during 1948. The “sister” sites were located in Palermo, in southern New Jersey, and at Montauk Point, Long Island. The radar site was designed to detect the approach of hostile aircraft (Soviet long-range bombers) and to help direct defensive fighter aircraft to intercept them in the event that World War Three had broken out. During 1960, the Army constructed a new semi-automated air defense facility in the woods above Battery Lewis. The Army’s new Missile Master facility was designed to coordinate the firing of all of the Nike missile batteries in the New York Metropolitan area. The system and the personnel who operated it were located within a large, heavily-built, reinforced concrete blockhouse, constructed partially below grade level. The Missile Master blockhouse had food, water and sleeping accommodations sufficient to sustain more than 100 persons for 30 days. A roof mounted wash-down system was designed to remove radioactive fallout. A two-story “blue room” contained banks of radar screens and large plotting boards needed to direct an air battle. The Air Force left the Highlands base during 1966. 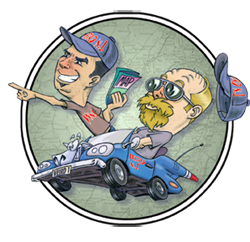 The Army, however, continued to operate its air defense facility, controlling its Nike surface-to-air missiles, until 1974 when the Nike system was deactivated. The remains of the former Highlands Air Force Station, and the Army’s Missile Master facility, were demolished by Monmouth County during the mid-1990s. 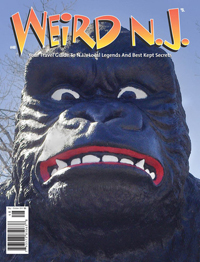 The preceding article is an excerpt from Weird NJ magazine, “Your Travel Guide to New Jersey’s Local Legends and Best Kept Secrets,” which is available on newsstands throughout the state and on the web at www.WeirdNJ.com and through our Amazon store. This entry was posted in Abandoned, Mystery History and tagged abandoned, army, battery lewis, fort, highlands, military, monmouth county. Bookmark the permalink.